Diyan Engineering are engaged in the manufacturing, & supplying of material handling systems, dust pollution control system & pneumatic conveying systems. The constant up-gradation of production technology also ensure in the offered equipment world-class performance standards. With the use of latest technology and a well set-up designing section assist us to fabricate the equipment as per the technical dimensions and specifications desired by our clients. 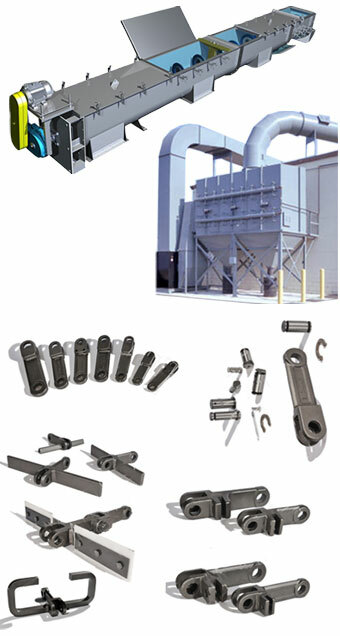 We are expertise in dust pollution control & Pneumatic conveying systems. Beginning from in-house product development expertise, demand flow technology and modern machinery, the investments made by us help us to also ably handle the upcoming equipment demands of the industries. To accomplish the utmost level of client credibility and trust, we are occupied in offering Material Handling System. Our offered material handling system is used to move the industrial materials, from one place to another. This helps a batch of a beam to be completely processed from raw material to finished product. Customers can procure these products in various specifications. We offer our client an exclusive of pollution control system that is fabricated using superior raw material and is widely apreciated by our clientfor its reliability and cost-effectiveness. morever, beginnig from designing to commisioning and instalation, we offer turn-key solution for our range of pollution control system.